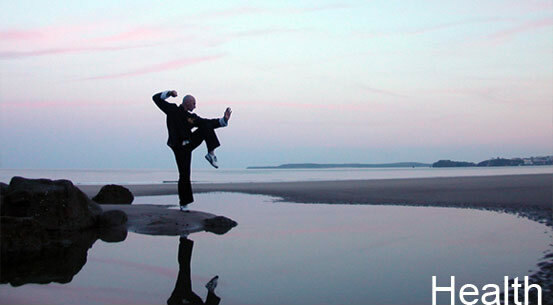 Health and Fitness - British Kung Fu Association - Lau Gar Kung Fu. We can safely say or assume that being healthy can be described as being free from illness, infection and stress. This is true but how can we ensure that we remain in balance? One can also assume that having a good level of fitness is indicative to being flexible, strong and having reasonable stamina levels. Does being healthy also mean being fit? Or vice versa. If the two are to be co-related then a balance must take place, here a few examples of health and fitness indicators. Kung Fu is an excellent way of training most if not all of the aforementioned as you get an overall training affect through the various exercises and routines be it stance work, sparring and sets/forms training. A well balanced and thought out program of training is essential, always seek advice and guidance from your instructor if training at home. Seek advice and treatment for over use injuries as this will ensure correct healing and the ability to continue exercising again.